A boutique hotel where Portland Press Herald used to publish. Linda Prescott can’t wait to bring her husband to the Press Hotel, located in the historic Portland Press Herald newspaper building. She’s eager to see the look on his face when he views the snazzy boutique property for the first time. “Jim was an editor in the sports department of the newspaper for 20 years,” Prescott says. Needless to say, it wasn’t exactly a stylish space. “Now look,” she says, gesturing toward the stone fireplace and sleek 1950’s-style bar carts in The Inkwell, The Press Hotel’s lobby bar. “Quite a transformation.” These days, Prescott is working in the building herself, as the hotel’s sales and marketing manager. Standing at the corner of Exchange and Congress streets in the city’s Old Port neighborhood, the circa 1923 building has been empty for two years. After the newspaper relocated in 2010, an interim owner gutted the seven-story brick building, leaving its plastered ceilings and long staircases intact. Local developer Jim Brady bought the building and spent about $10 million, not including state and federal historic preservation tax credits, to convert it from empty landmark to 110-room boutique hotel. 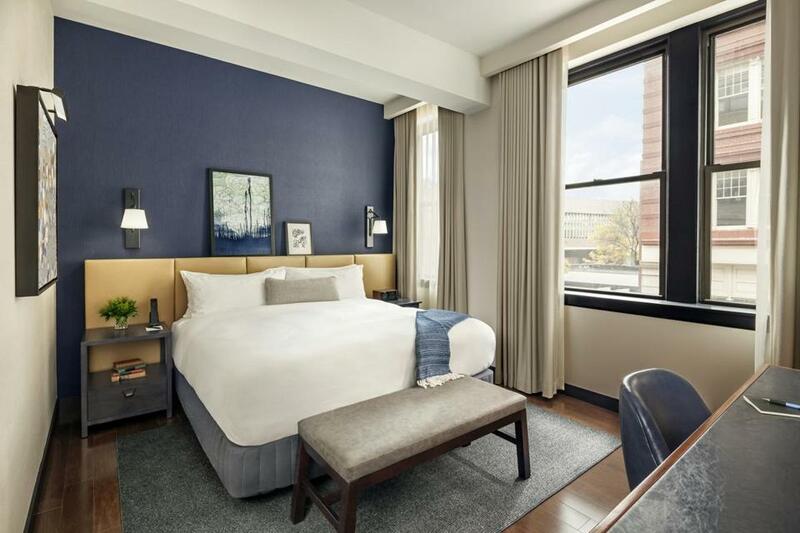 The hotel is set to open on May 6, in time for Portland’s short but glorious summer season. The building’s past is now part of its appeal. The architecture firm Stonehill & Taylor, whose portfolio includes New York’s NoMad and Refinery hotels, has playfully woven elements of newspapering into the design. At the front desk, letterpress wood block letters act as sculpture. Overlooking the lobby is a soaring assemblage of antique typewriters, created by students at the Maine College of Art, which is one of the hotel’s partners. 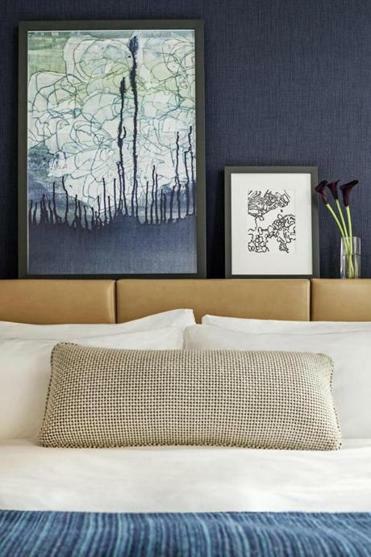 “We had to explain to the kids what typewriters were,” quips the hotel’s general manager, Michael Strejcek, formerly director of operations at the Charles Hotel in Cambridge. A touch we love: The wallpaper in guestroom hallways is a digital print of actual newspaper headlines from the Press Herald’s archives. Carpeting features a jumble print of typewriter keys. Each guestroom has design elements inspired by a 1920s writer’s office, such as a vintage-styled editor’s chairs and typewriter key-shaped coasters. Author quotes pop up randomly, inside closets and in-room safes, in meeting rooms, and in the lobby bar. In the fitness center, along with the usual cardio equipment and hand weights, sits the original — and very large — Toledo scale from the Press Herald, a prized relic. The best views of the Atlantic are from rooms on the sixth and seventh floors. Or there’s the penthouse suite, an open-plan, 1,200-square-foot room with a private 450-square-foot roof deck. Two sixth-floor suites offer outdoor balconies. The hotel’s restaurant is likely to be as much a lure as the hotel. Called M. C. Union, its a 65-seat restaurant by James Beard Award-winning chefs Mark Gaier and Clark Frasier (of M. C. Spiedo in Boston), best known for running Arrows in Ogunquit for 25 years. The restaurant, with an open-kitchen concept, is open for breakfast, lunch, and dinner, with a focus on farm-to-table and ocean-to-table cuisine, featuring “Americana” favorites. The restaurant has its own Congress Street entrance. Among those who are sure to be surprised: People who once cranked out a newspaper here. 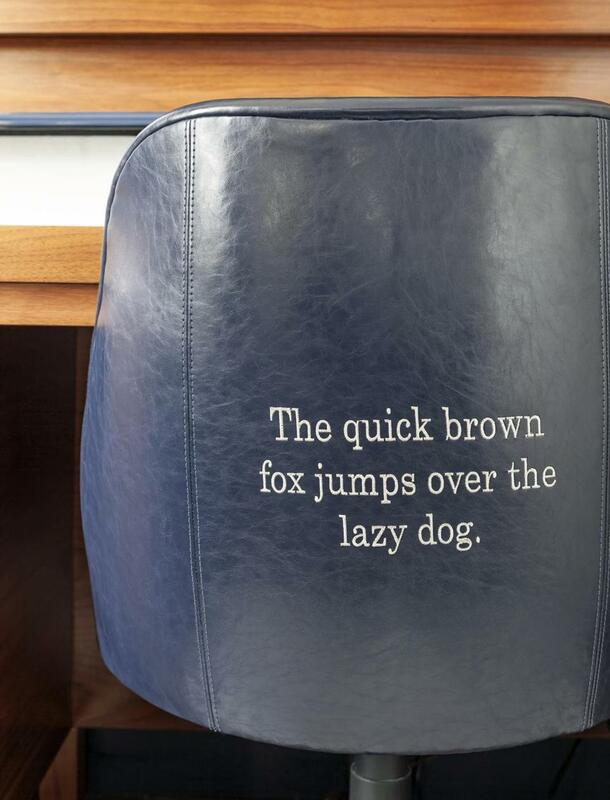 The Press Hotel, in its newspaper mode, has an editor’s chair with a pangram, a sentence using all the letters of the alphabet. THE PRESS HOTEL 119 Exchange St., Portland, Maine. 800-971-2000, www.thepresshotel.com. Introductory rates start at $219 per night, based on availability.